The new version of the FileMaker platform is here! We’ll look in depth at what’s new in FileMaker Pro 15, FileMaker Go 15, and FileMaker Server 15. We have highlighted many of the best new features with ten detailed articles provided by our staff looking in depth at each of the features. FileMaker announced they will release new versions every year, resulting in shorter release cycles that’ll bring innovative new features to us faster. New mobile features including Touch ID, 3D Touch, App Extensions, iOS SDK, and iBeacons. You can now deploy mobile applications in exciting new ways. The third major release of WebDirect includes compatibility for mobile phones and performance improvements. WebDirect allows you to easily publish your application in a browser on the web using the award winning FileMaker Pro or FileMaker Pro Advanced client to build your web application. DB2 and PostgreSQL are now supported database platforms for External SQL Sources. You can establish a live two-way connection between your FileMaker application and Oracle, Microsoft SQL Server, MySQL and now DB2 along with PostgreSQL databases. FileMaker Server 15 no longer allows third parties to offer shared hosting. You must have your own server moving forward for security reasons. FileMaker Licensing for Teams is the new default licensing moving forward on the FileMaker Store. Licensing is now based on number of users and sold in 5 user intervals. The latest version continues to focus on new features that enhance usability for users and developers with a few nice performance enhancements. Have you ever loaded a screen with a portal and waited for the hundreds to thousands of records to display? Well we now have Portal in-line progress bars, which will allow you to interact with the rest of the screen while the portal is still loading. This is a very welcomed addition for users that are using an application over the Internet, as we can never see too many performance increases. All you have to do is install the new version to get this one! Read about FileMaker Portal In-Line Progress Bar as Damien Howell explains how they work. You can now add concealed edit boxes to layouts. This allows you to hide the data being typed into a field from any onlookers as the field displays dots instead as you type. The data is not encrypted, so it can still be easily exported so take additional security measures to encrypt the data or prevent users from exporting the data. FileMaker 14 had killer user interface features including button icons, navigation bars to name a few. Now the Status Toolbar icons for users in browse mode and icons for developers in layout mode have been improved. In addition full-screen view and split view are supported in the FileMaker Pro document windows on OS X.
Emory Brown discuss in depth FileMaker 15 User Interface updates. He dives into the Toolbars, Inspector Palette, WebDirect, and FileMaker Go on mobile devices. Product updates before required you to visit the FileMaker Download page and then select your update to download. This was tedious to end users especially as we have become accustomed to products such as Chrome updating for us. Now when an update is available you can download and install the update all from within FileMaker Pro. Read about FileMaker In-Product Updates as Jeremiah Hammond looks at how the new in-application updates work. For any user who writes or edits scripts more improvements have been made to the Script Workspace, FileMaker’s Integrated Development Environment (IDE). You can easily see highlighted script errors in red and problems are automatically highlighted when importing or pasting scripts. Unlimited Undo is now supported in the Script Workspace and in the Specify Calculation dialog box, including Undo Delete. All developers will enjoy these new features. FileMaker has long been known to be a hub for many organizations’ data. External SQL Storage (ESS) has been in place since version 9 for Oracle, Microsoft SQL Server, and MySQL. Now joining the party includes the likes of DB2 and PostgreSQL. You can easily set up ODBC on the server and all your FileMaker users are then able to access the data from these other popular database platforms. FileMaker 15 comes with 4 new Basic Starter solutions (Contacts, Inventory, Content Management, and Tasks). In addition, the existing 16 Starter Solutions from before are available as Advanced Solutions below the Basic Starter solutions in the link, See advanced solutions, which is not that easy to locate. We also have a free starter solution called FM Quickstart you may wish to download and customize. Read about FileMaker 15 Starter Solutions as David Happersberger looks at the differences in the new templates. FileMaker Help is truly great. Now help is available online and can be downloaded if needed. Help has been redesigned for easier access and use. Being web-based, FileMaker Help can be easily updated by the support staff by FileMaker. FileMaker Go 15 has all the features you get in FileMaker Pro such as concealed edit box and portal in-line progress bar, plus some specific iOS features listed below. The new version of FileMaker Go 15 is available on the App Store. While this was released in January a few months ago it is worth mentioning. You can now develop your own standalone iOS app from an existing FileMaker application. This allows organization to easily deploy apps with Apple’s MDM Distribution. You must purchase a FileMaker Community Developers Subscription $99/year to receive the iOS App SDK which is Mac only. You can easily enable your application to support Touch ID to allow users to log into your application with their fingerprint. With Force Touch you can select the FileMaker Go application and select which database you wish to open without opening Go first. Read about FileMaker Touch ID & 3D Touch as Bobby Vogel discusses how to use these new features. If you install a popular app on your iOS device then it may come with App Extensions. If so then you can easily share data from FileMaker Go to applications such as Box or Dropbox for example to back up your database. There are lots of possibilities here. Read about FileMaker App Extensions as Mason Stenquist discusses how to use FileMaker Go with App Extensions. Now integrate your FileMaker app on iOS with iBeacons. There is a new function RangeBeacons that returns a list of iBeacons and their proximity to the iOS device. This is truly an exciting feature that will open many possibilities. Read the Getting Started with iBeacons at Apple’s iBeacon for Developers page to learn more. We look forward to seeing what you all produce with the new iBeacon support. Read more about the FileMaker iBeacons as Weihao Ding goes in depth to educate all of us on how you can use iBeacons in your FileMaker app. Requires iOS devices running iOS 9.3 or later on the iPad Pro, iPad, iPad mini, iPhone and iPod touch. FileMaker Go 13 will be removed from the App Store on June 10th, 2016. FileMaker Go 14 will be removed from the App Store in November 2016. Server has always been known for its ease of use and ability to run with little to no problems. The newest version focuses on performance improvements; security updates; and many enhancements related to WebDirect, specifically support for mobile phones, reducing data over the wire, optimizing memory footprint, improved caching container data, protocol enhancements, improving thread management, and additional security. Read more specifically about FileMaker 15 Security as Michael Westendorf looks at new security features in Pro / Pro Advanced, Go, and Server. WebDirect is the flagship FileMaker Pro desktop client equivalent in a browser, without any web programming. This version add support for mobile phones and includes more performance improvements, at the high end the recommended hardware supports up to 100 WebDirect users. In our labs we did notice WebDirect is slightly faster than before as FileMaker continues to optimize the memory footprint. Users who are using WebDirect should get lots of RAM for FileMaker Server machines to support your users. For Androids, FileMaker WebDirect or Custom Web Publishing continues to be the only way to deploy a FileMaker-based application. 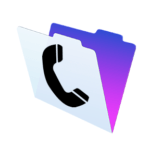 Read more about the FileMaker WebDirect Mobile Phone Support as Brendan McBride looks at the new features. Troubleshooting performance on a server with a lot of users can be time consuming. With FileMaker Server 15 you can turn on Top Call statistics in the Logging tab from the FileMaker Server Admin Console. This will help identify the scripts, finds, or other operations that are taking the longest to run on the server. Learn more about the FileMaker Server Top Call Statistics as Ian Haas looks at how to use this new log. When using FileMaker Server and deploying sensitive information you will definitely want to keep your data encrypted. FileMaker recommends you use the default self-signed SSL certificate for testing purposes only. Installing a third party SSL certificate can be a bit tricky, but with version 15 you can now create a certificate signing request from the FileMaker Server console. In addition support had been added for Wildcard certificates, Subject AltName (SAN) Certificates, Import intermediate CA certificates, and deploy additional popular SSL Certificates types and vendors. If you choose to use the default certificate provided by FileMaker you will now receive proactive security warnings that are annoying to your users that let them know the certificate is not secure. If you want to use SSL we advise ponying up around $100/yr and getting a certificate to safely encrypt your data inside and outside the network. As part of the FileMaker Server 15 End User License Agreement you can no longer install one FileMaker Server 15 for multiple tenants for security reasons. If you are looking for a FileMaker Hosting vendor keep in mind that they cannot provide you the latest technology which is critical for performance and security unless you have a dedicated server. If you’re using WebDirect it is absolutely essential to get a dedicated server. Contact us for pricing on FileMaker Dedicated Hosting for Self-Service or Managed FileMaker Servers. Over the years FileMaker has updated their licensing to integrate new technologies such as FileMaker Go from the App Store along with transitioning from Instant Web Publishing to WebDirect. I believe they have finally landed on the licensing for the future with FileMaker Licensing for Teams and having the licenses be based on the FileMaker Server. Existing licensing programs are not impacted except FileMaker Server with Concurrent Connections are being phased out. Read more about the FileMaker Licensing for Teams, David Happersberger, our FileMaker Licensing Specialist, gives you a look at the new licensing program. Compatible on Windows Server 2012 R2 Standard with Update Microsoft KB2919355 and Windows Server 2008 R2 SP1 Standard or Enterprise and Mac OX X El Capitan 10.11 and Yosemite 10.10 is supported. WebDirect browser support includes Safari 9.x, IE 11.x, Microsoft Edge 25+, Chrome 48+. Mobile browsers Safari 9.x and Chrome 48 on Android 5.x and 6.x. The FileMaker 15 platform continues to be the leader in creating powerful custom applications for organizations all around the world that works seamlessly across Windows, Mac, iPad, iPhone, and the web. FileMaker Go continues to give the platform a competitive edge. Allowing organizations to create custom applications for iOS devices while providing an incredible ROI. Creating prototype applications on the iPad and iPhone is a matter of hours not months. After waiting 12 months, we are happy to see FileMaker 15 and look forward to building awesome custom applications using the new modern tools for Mobile, Web and the Desktop.